Dear Sir/Madam, I have grown up reading Tibetan Review and my respect & admiration is intact till recently when Review started playing at the hand of Dirty Politic. 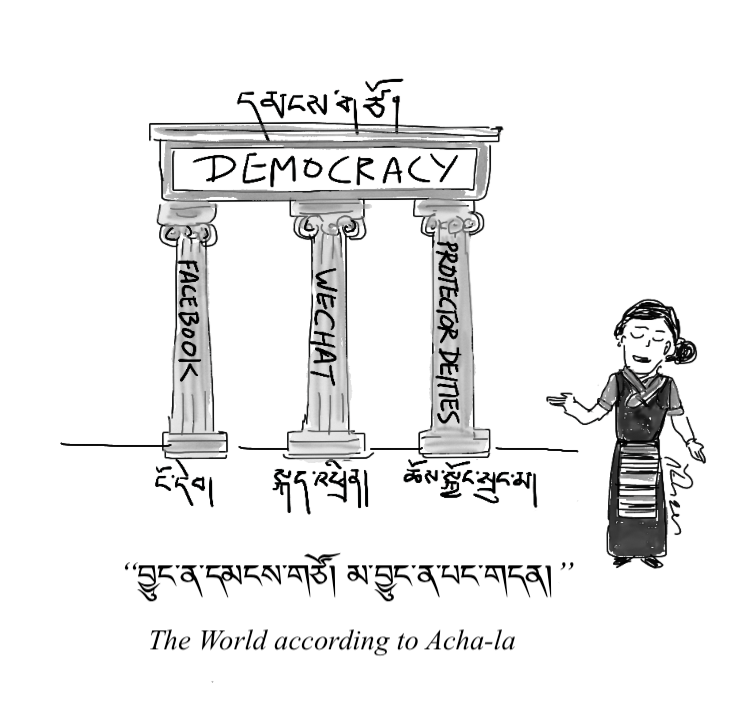 I just saw this cartoon from Jamyang phuntsok and its sad that you guys are taking common people to task instead of Leader who destroy the very fabric of our unity. Our Media is not better when compare to its counterpart in CHINA n Russia. They are atleast in a grim situation but wat makes u guy stoop low by appeasing Leader and attacking odinary people who have nothing but basic democratic rights to protest. If there is some conscious left, you guys do not insult and abused common people for their pain and concern.